Istanbul (AFP) - Turkish authorities have since September been detaining scores of refugees, including from Iraq and Syria, and abusing and pressuring them to return home in breach of international law, Amnesty International said Wednesday. The government angrily rejected Amnesty's accusations, saying it "categorically denied" that any Syrian refugee in Turkey had been forced to return to their conflict-torn home. The rights group also warned that the European Union (EU), which in November reached a deal with Turkey to stem the flow of refugees into Europe, was in danger of being complicit in "serious human rights violations". "We have documented the arbitrary detention of some of the most vulnerable people on Turkish soil," said John Dalhuisen, Amnesty's director for Europe and Central Asia. "Pressuring refugees and asylum-seekers to return to countries like Syria and Iraq is not only unconscionable, but it's also in direct breach of international law." Under the EU-Turkey deal, EU leaders pledged three billion euros ($3.2 billion) in aid to help improve the conditions of the at least 2.2 million refugees currently on Turkish soil from the Syrian war. In exchange, Turkey agreed to try to limit numbers travelling to Europe and tackle human smugglers who profit from their desperate journeys. The European Commission's foreign affairs spokeswoman Maja Kocijancic said officials "are currently looking into all the details" of the report. "We are not aware of the details, including for example individual cases of deportation that are mentioned in this report, but the report will be considered with due attention and followed up with the Turkish authorities as appropriate." Amnesty said the Turkish authorities have been rounding up "potentially hundreds of people" onto buses in western Turkey and moving them to isolated detention centres in the east, where they were often subjected to abuse. Most said they had been attempting or intending to cross into the EU, Amnesty reported. A 40-year-old Syrian man, who said he was placed into solitary confinement for seven days at a deportation centre with his hands and feet chained, told Amnesty: "When they put a chain over your hands and legs, you feel like a slave, like you are not a human being." Amnesty said "the apparent policy shift" contrasted with the favourable approach of the Turkish authorities towards refugees until now. 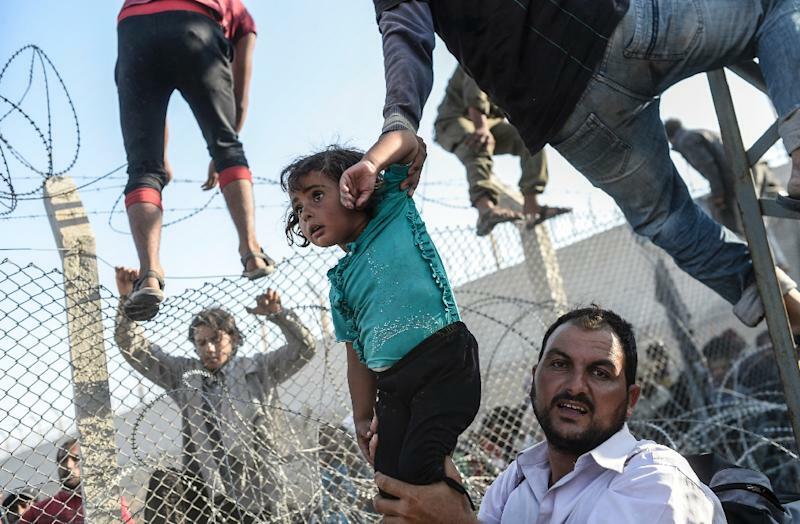 "We categorically deny that any Syrian refugees were forced to return to Syria," a Turkish government official said, adding that all returnees were being independently interviewed by the UN refugee agency. 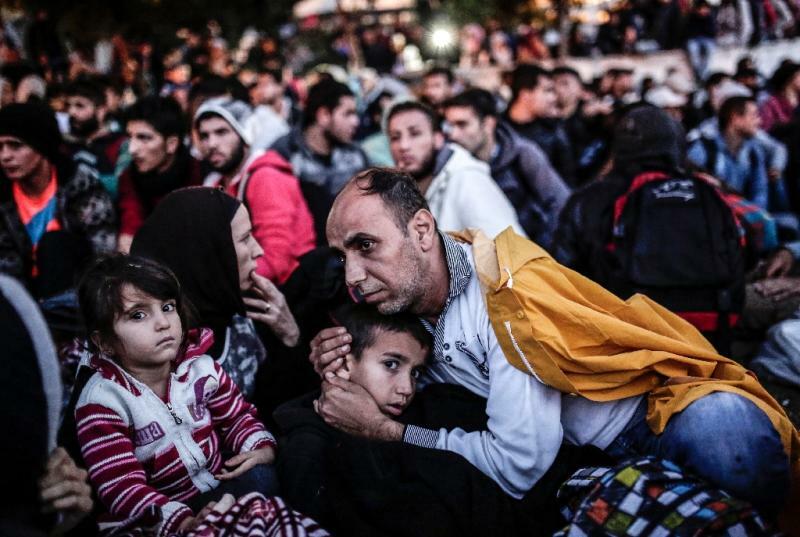 "Turkey does not tell Syrian refugees where to live," added the official. The official said that as part of a "crackdown into organised crime" Syrian refugees with "documented ties to criminal gangs" are settled in the Osmaniye refugee camp in southern Turkey and their mobility may be restricted. But less than one percent of Syrian refugees in Turkey fall into that category, added the official. Turkey is the main launching point for migrants coming to Europe, via EU member Greece, but the authorities since the EU deal appear to have stepped up efforts to halt the crossings. 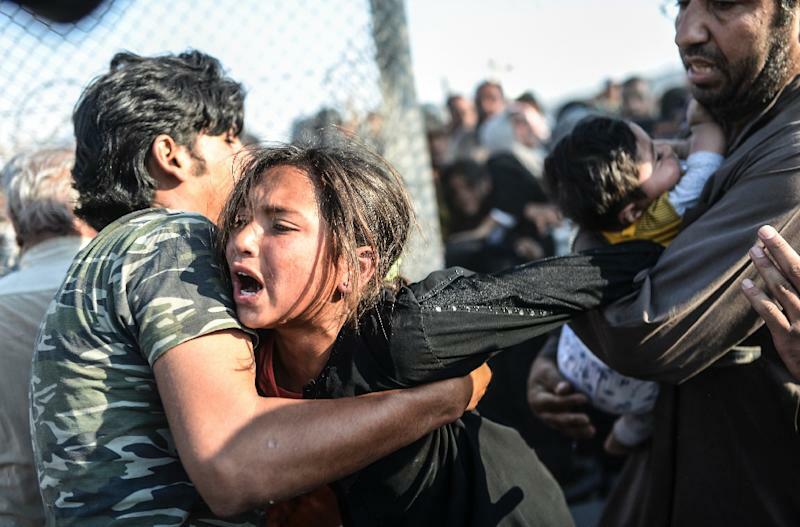 In the latest tragedy on the perilous passage, two Iraqi children, aged six and two, were found dead in the Aegean Sea, the Dogan news agency reported Wednesday.